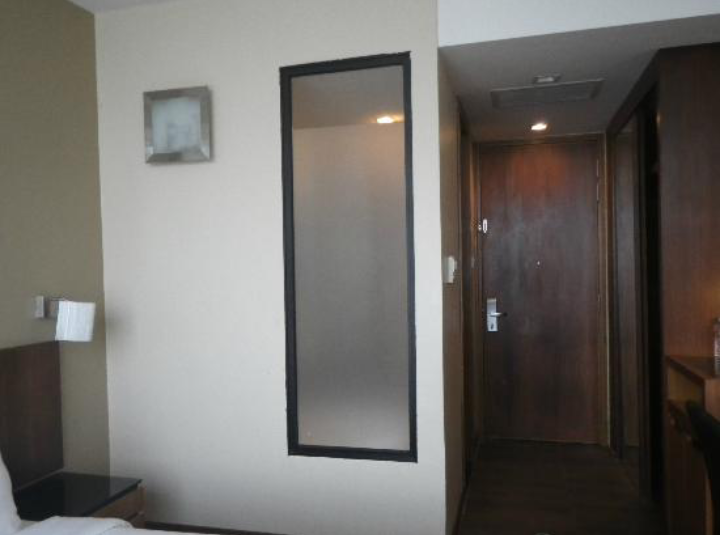 Located along the Silosa beach on Sentosa Island, this hotel is close to the beach actions. There are several eateries and pubs along the beach, making this hotel a good spot for actions close by. It is however far from Resorts World Sentosa and the theme parks on the island. I checked into the hotel for a 4 day 3 night stay. This is my 3rd time coming here, due to positive past experiences, I came back here for a relaxing staycation over the weekend. I am deeply disappointed with the condition of this hotel. It is heaven and earth from my previous stays. The room was rather small with ageing and decapitated furniture. Upon entering the room, the corridor opens up to the bedroom. By the side of the corridor from the main door is the bathroom. The bathroom is small but has both a walk in shower and a bathtub. 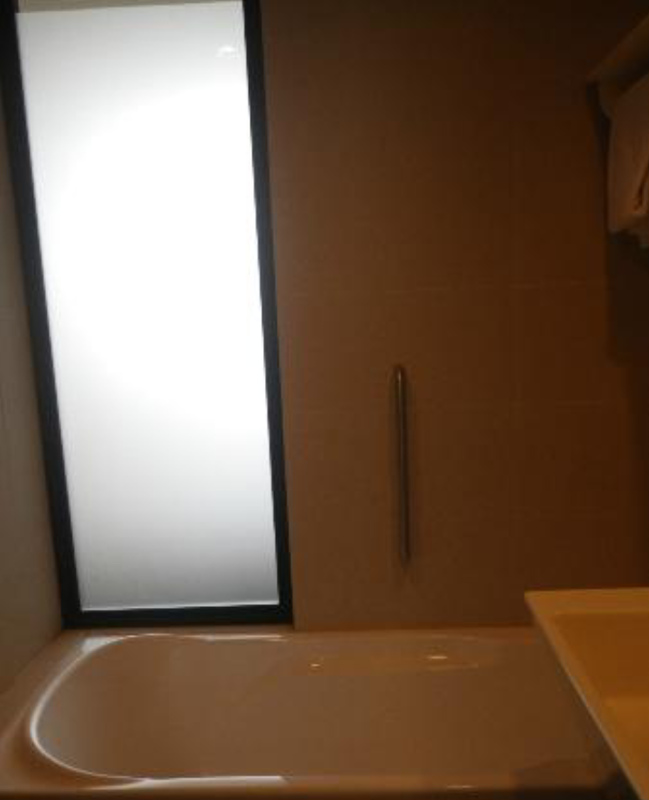 There is a window that looks into the room from the bathtub. There used to be a curtain that allows more privacy or for guests to watch TV from. However this curtain is now replaced with tinted glass, defeats the purpose of placing the window there in the first place. 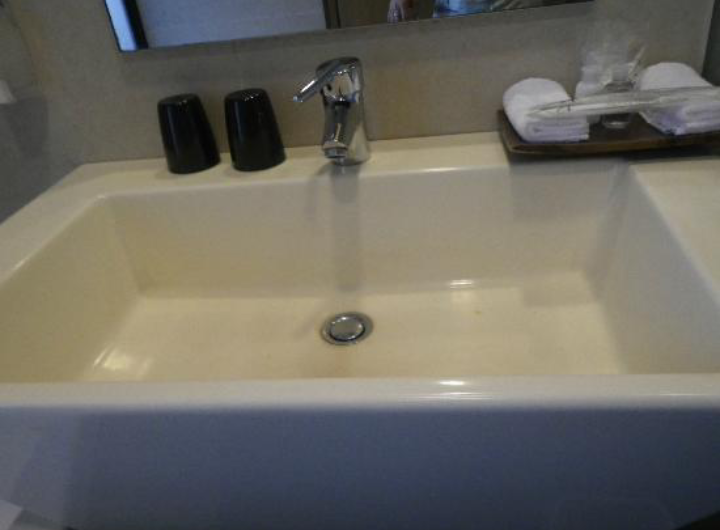 Beside the bathtub is a standard and small sink that does not allow much toiletries to be placed. 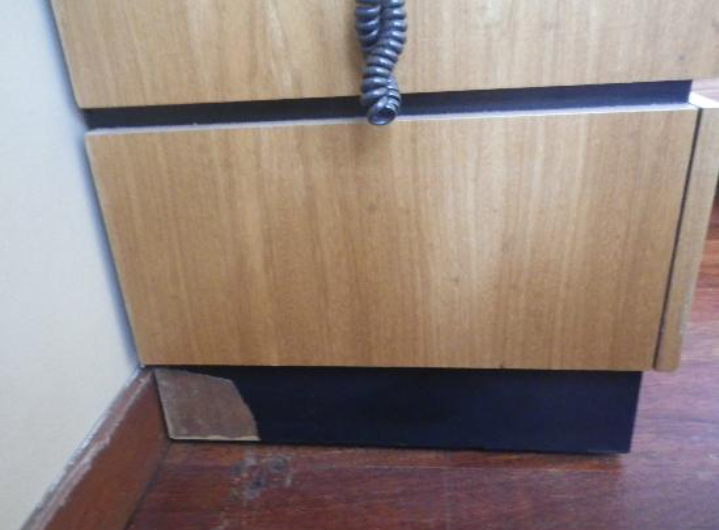 Stains are found in the sink, signalling poor maintenance in Siloso Beach Resort. The walk-in shower is located next the sink. The shower head is in very bad condition as the water pressure is very low, making showering a chore. 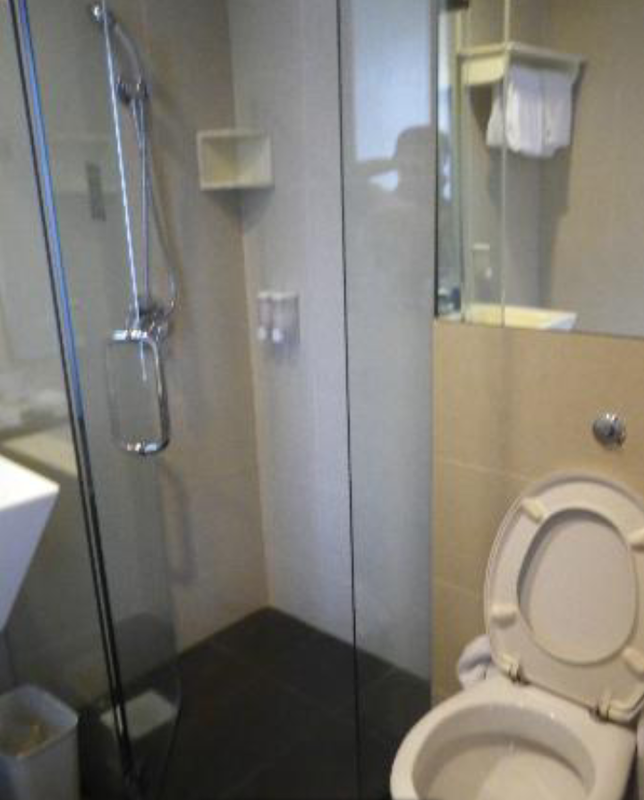 The toilet bowl is located next to the walk-in shower. 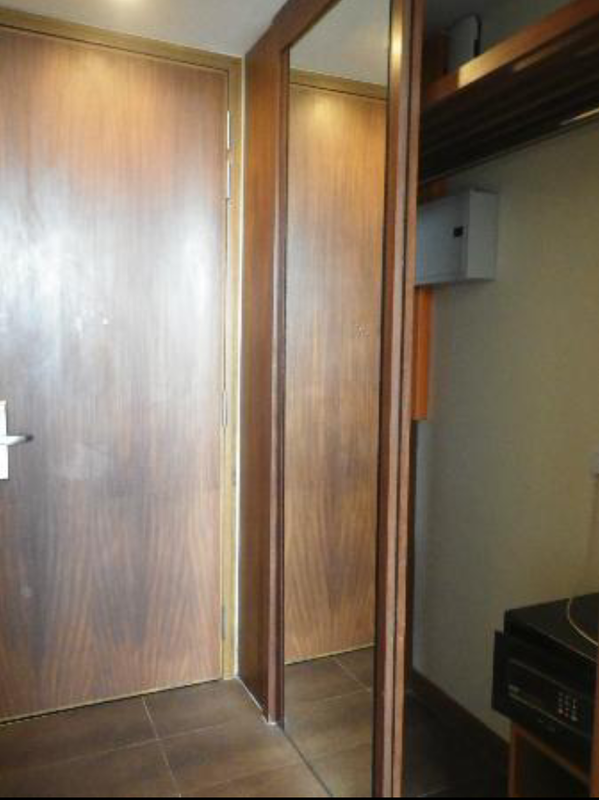 Opposite the entrance of the bathroom is the wardrobe. The wardrobe is rather small and there are hardly sufficient storage for clothing. The door to the wardrobe is defective as well as it is difficult to close. The in-room safe is tucked in the wardrobe. There is a queen size bed in the sleeping area, which is placed in front of the TV. The sleep quality on the bed is not great. 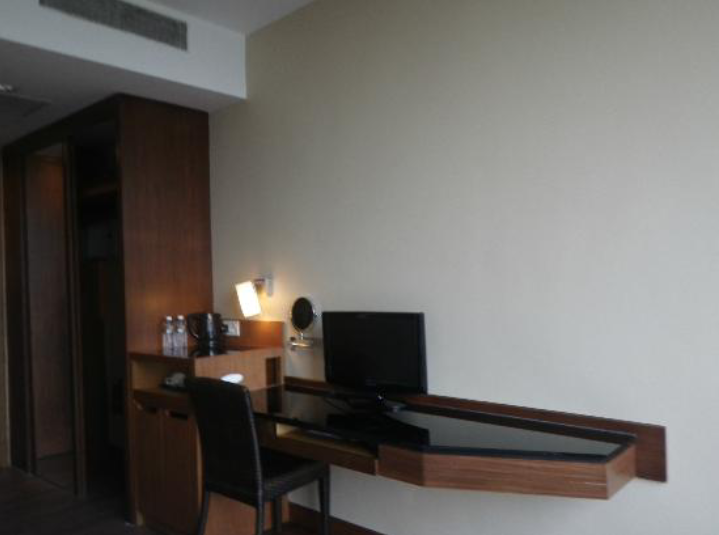 The TV is placed on a table, which extends from the minibar next to the wardrobe. The minibar is pathetic with nothing placed in it. I guess most of the patrons find the drinks to be expensive, hence there is no point in stocking up the minibar. There used to be an in room couch for relaxation, by the huge window that faces the beach but has been removed. Facilities in room and around the hotel seemed lack of maintenance. It is very different from the last time I stayed here. 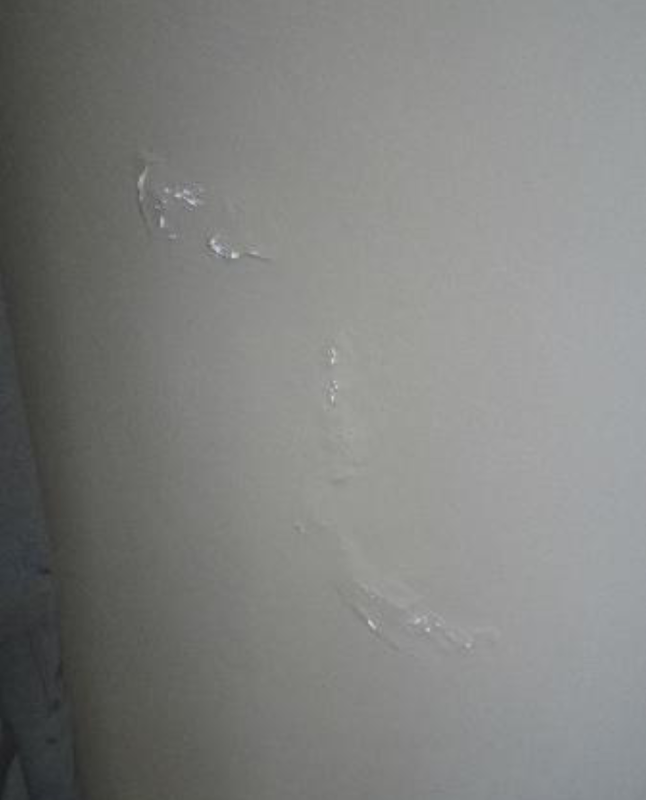 Deteriorating wallpapers are found in the room. The hotel also stripe the carpet away, replaced by wooden floorings. 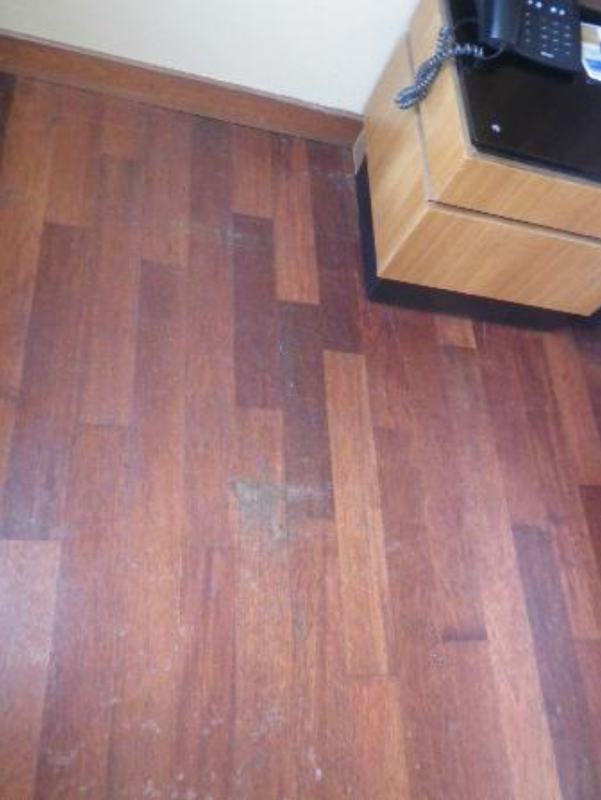 However the floorings has alot of scratches and drag marks on it. The only saving grace inside the room is the stunting sea view. The only place that is great in this property is the swimming pool, it is wonderful with tall waterfall and the pool is huge. During our stay, there is this loud music that blasts from the beach club opposite, the loudness of the music did not stop until 4am! When I checked with one of the staff, they gave the very standard answer of “the hotel is working with the owners of the club to keep the decibels down at night”. Sound proofing could have been better if they seriously think that the club will affect the stay of the guests. Breakfast was horrible throughout the 4 days. There were only minor variation to the menu. Service is almost non-existence around the hotel. The staffs at the restaurant were seen talking amongst themselves when their supervisor was not looking instead of clearing plates. The check in staffs looked angry and unapproachable. They kept interaction with guests to a minimal giving me a feeling that they just wanted to get rid of the guests and continue with whatever they are doing. The hotel boasts itself to be eco-friendly, which felt more like a false front they use to conceal the cheapness of the owners. Everywhere seemed to be falling apart, from the fixtures in the room to the areas around the hotel. It seemed like the hotel is very poorly maintained. 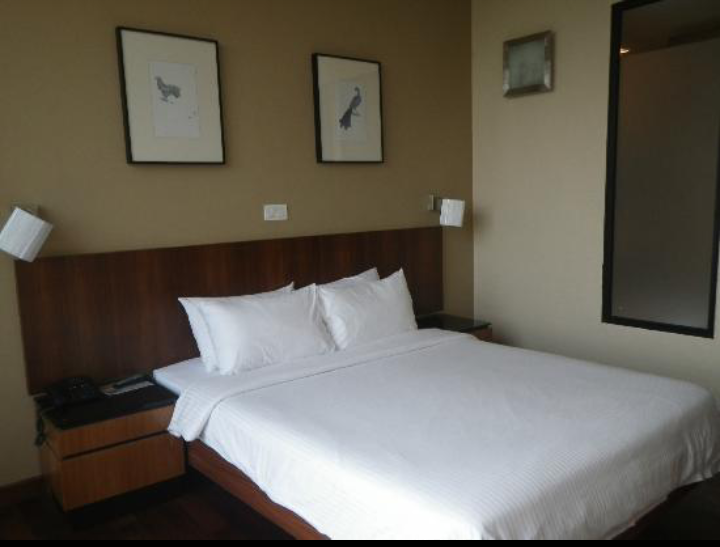 This so-called 4 star hotel that gives me the feel of a 2 star service and quality. The only thing good about this hotel is the pool and the view. If that is important to you, then by all means stay here. if not, go elsewhere, where one can find more value.